PANAVIA V5 is the 5th version of cement in the PANAVIA family. It is a true dual-cure, fluoride-releasing, color-stable, esthetic universal cement with simplified placement. 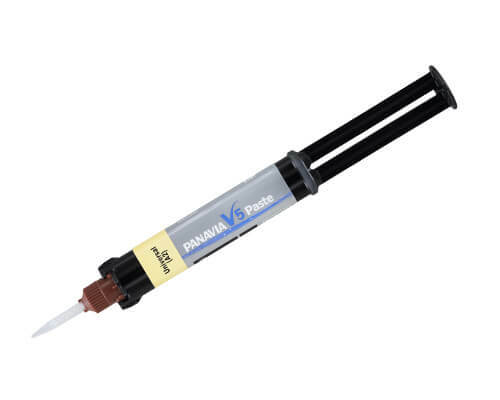 PANAVIA V5 also provides an adhesive milestone by providing self-cure dentin bond strengths equal to a “Gold Standard” light-cure bonding agent, CLEARFIL SE BOND. No resin cement has been able to provide this level of adhesion until now. 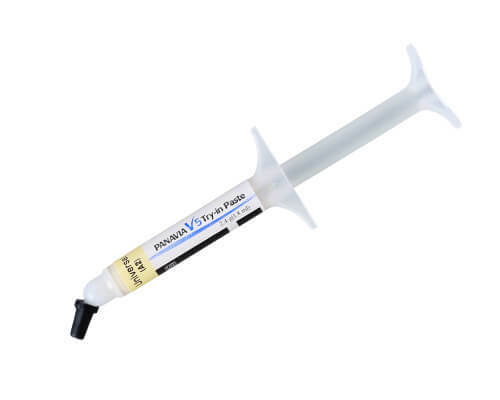 PANAVIA V5 Tooth Primer (MDP-based) with new catalysts provides exceptionally high bond strengths for all tooth structures in the self-cure mode.CLEARFIL CERAMIC PRIMER PLUS contains the original MDP adhesive monomer and y-MPS silane monomer, which bonds to all silica-based ceramics (including lithium disilicate), Zirconia, composite and metals. 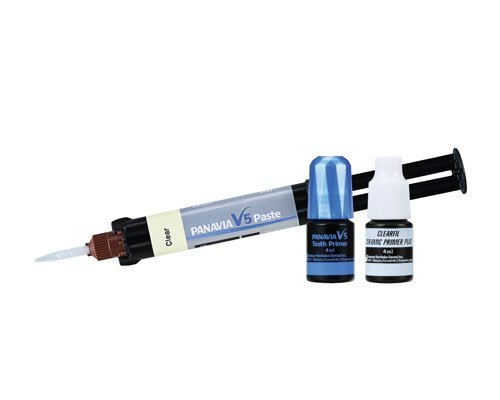 PANAVIA V5 pastes are available in 5 amine-free, color-stable shades with fluoride-releasing, natural fluorescence and virtually no post-cure color change. 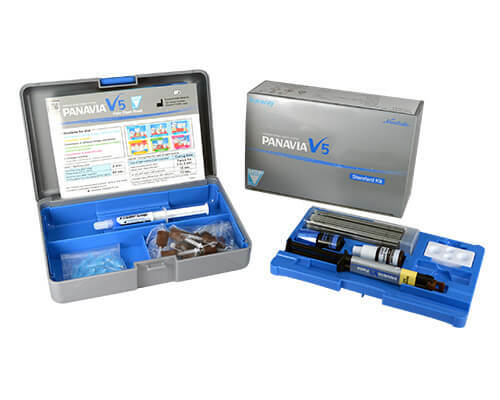 PANAVIA V5 can be used for all clinical indications: crowns; bridges; veneers; inlays/onlays; implants and posts. 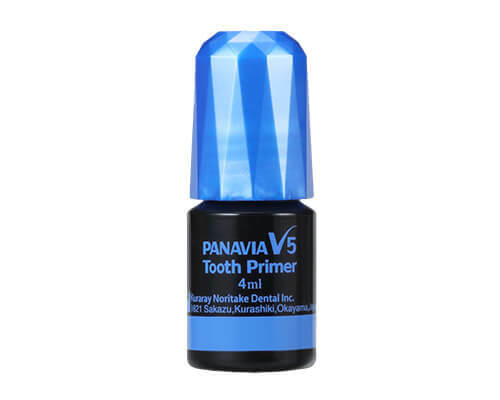 View cart “PANAVIA V5 Tooth Primer 3635KA” has been added to your cart.